Suggested by JHG195 William has a gun and certainly does a good job of gunning down anyone who stands in his way. The thing is that bullets won’t work too well against Lucius as his magic spells will always be one step ahead of such a weapon. William has no form of defense against magic either so he will simply have to accept his fate. It’s almost tragic, but he just doesn’t stand a chance here. 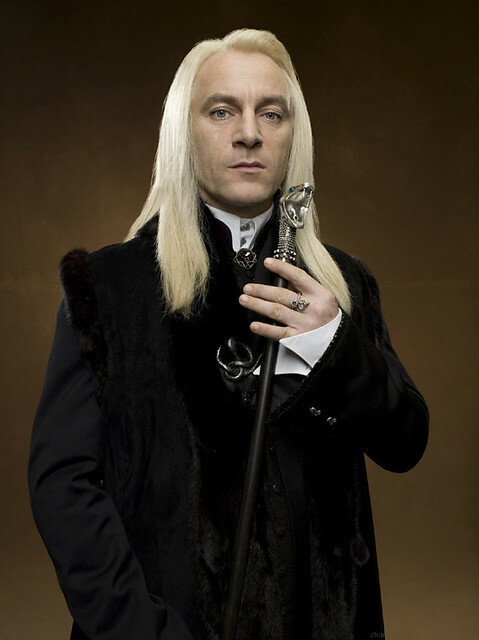 Lucius Malfoy wins. This entry was posted in Battles, Lucius Malfoy Battles, William Tavington Battles and tagged Lucius Malfoy, William Tavington by dreager1. Bookmark the permalink. Oh, it would be so hilarious if they actually met!